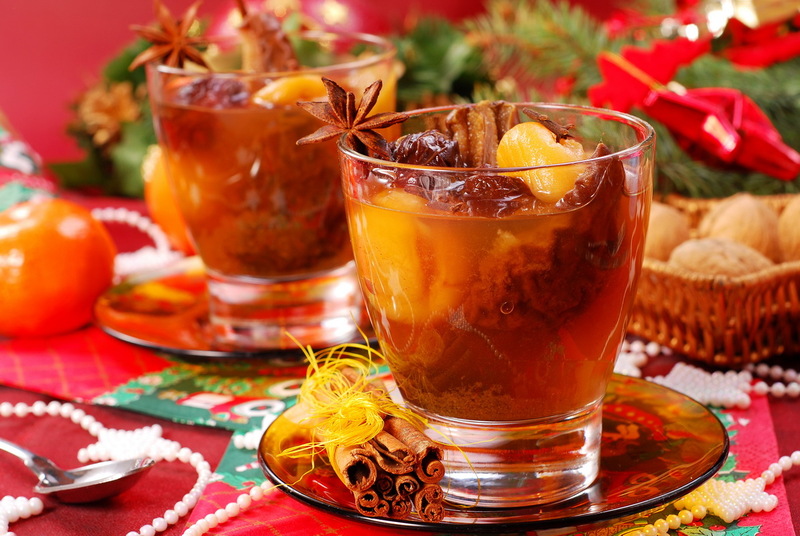 Traditional Polish Christmas Eve dinner should have in the dessert part a compote (Polish: kompot), a drink made out of dried fruit (apple, pear, plum) and spices (cloves, cinnamon). 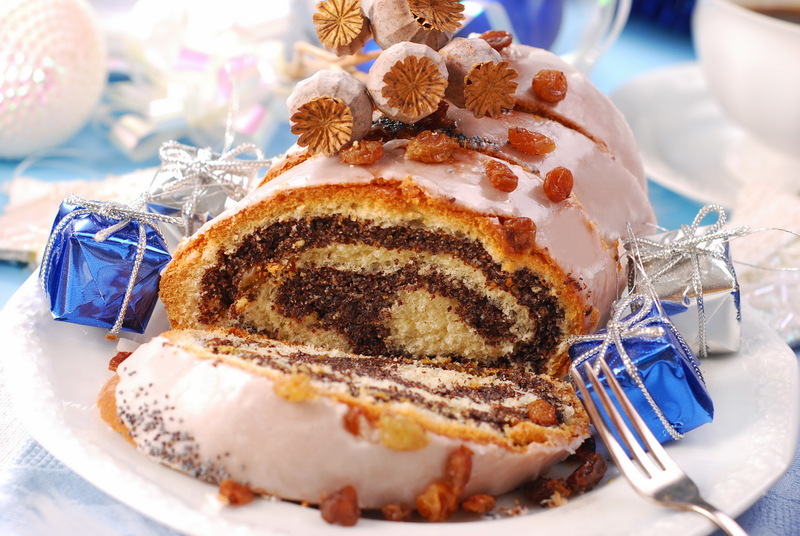 A poppy seed cake is a traditional Polish Christmas dessert. It is prepared as a yeast cake stuffed with ground poppy with added raisins, almonds or walnuts. The cake is decorated after baking with icing and orange peel or raisins. 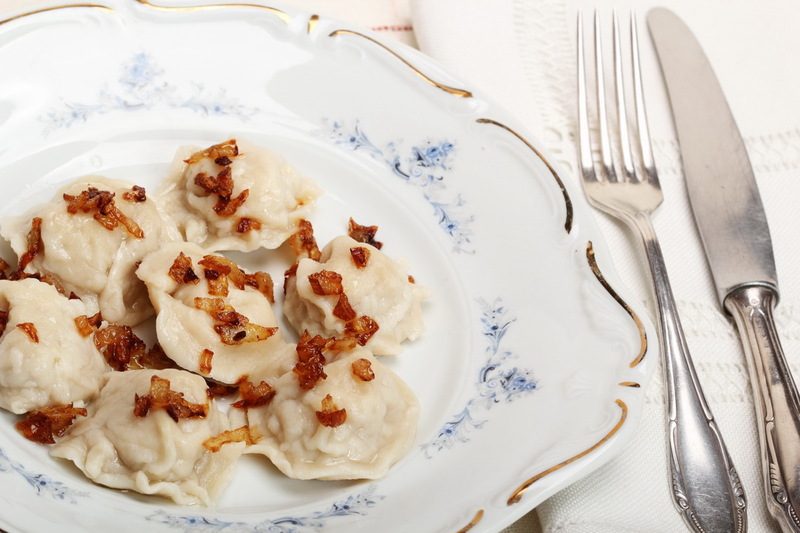 Polish pierogi – stuffed dumplings are probably most well know Polish food specialty outside of Poland or maybe second best known after Polish kielbasa – sausage. 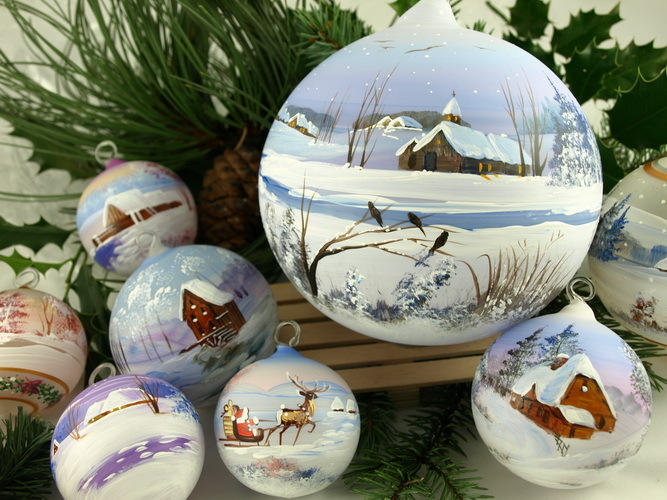 Polish pierogi have three most popular stuffing types- cottage cheese with potatoes (called Russian pierogi), ground meat and sauerkraut (fermented cabbage) with mushrooms. Still, you can find in Poland small specialized restaurants called “pierogarnia” which sell nothing else than pierogi and they come in tens of different flavors. During the summer, it is popular to eat pierogi stuffed with fruit like strawberries. Pierogi can be served direct from boiling water and topped with melted butter with sauteed onions, or can be browned in a skillet after boiling and then served. 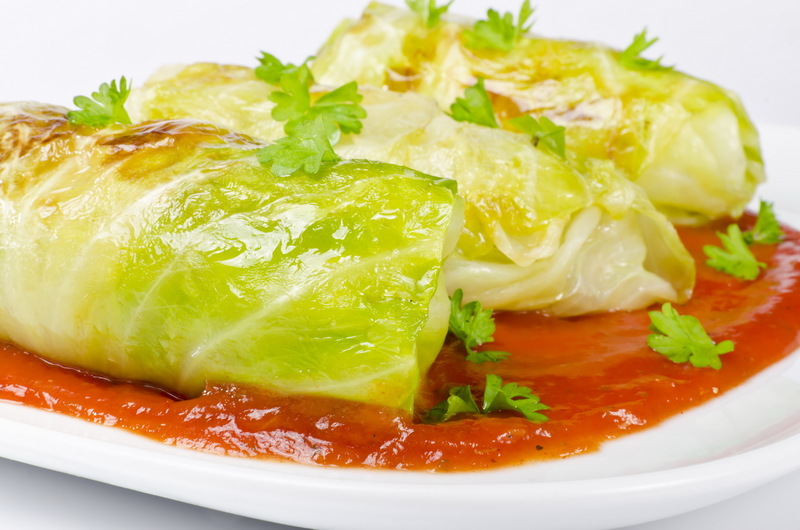 Another example of traditional Polish food are stuffed cabbage rolls. In Polish, they are called “golabki” which means little pigeons. Typically, they are stuffed with rice and ground meat (pork or beef) and cooked in a tomato sauce. For the vegetarians, there is a version where meat is substituted by mushrooms. 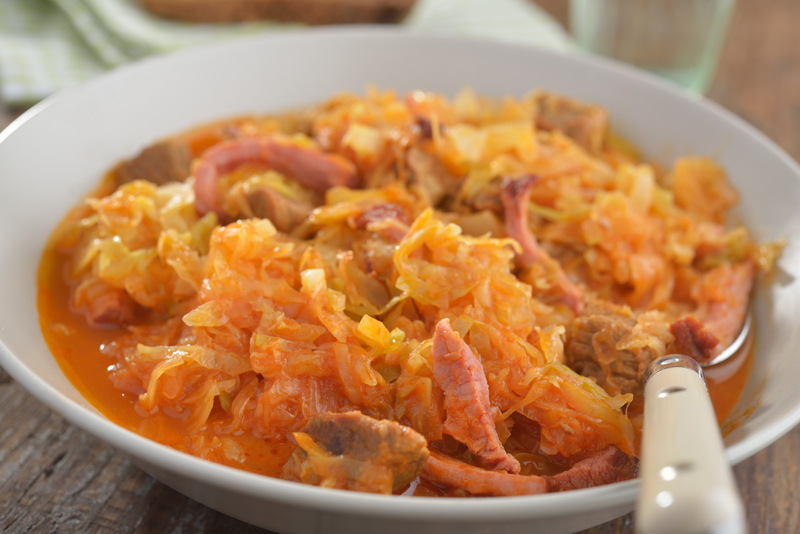 Preparation of this dish requires some skills as the whole cabbage head needs to be pre-cooked or steamed and large enough leaves separated so that they can be stuffed and rolled, then slowly cooked in tomato sauce till ready.